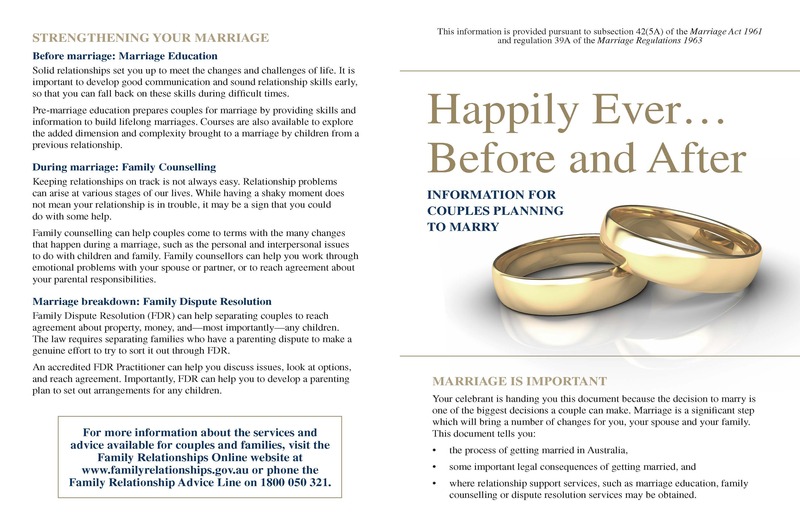 •where relationship support services, such as marriage education, family counselling or dispute resolution services may be obtained. The document also contains important information, not just if you’re plannig to marry but also after you’re married. Things like impacts to health and welfare benefits, citizenship, making a will and even taxation implications. Overall an extremely valuable resource to have. When planning to marry, taking these things into account is essential for any couple. Once married there are certain things that need to be ticked off and this short informative guide can definitely help.